Petroleum and Mineral Oil – World distribution: Supergiants, Oilfields in Saudi Arabia, Iraq, Kuwait, Iran, Russia, United States, Mexico, Canada, Venezuela, Brazil, United Kingdom and African Region. More than half of the world’s proven oil reserves are located in the Middle East (including Iran but not North Africa). Canada, United States, Latin America, Africa, and the region occupied by the former Soviet Union contains less than 15 percent of the world’s proven reserves. The amount of oil a given region produces is not always proportionate to the size of its proven reserves. For example, the Middle East contains more than 50 percent of the world’s proven reserves but accounts for only about 30 percent of global oil production. The United States, by contrast has less than 2 percent of the world’s proven reserves but produces about 10 percent of the world’s oil. Petroleum is contained in a few large fields, but most fields are small. world-class giants, fields with 500 million to 5 billion barrels of recoverable oil. Fewer than 40 supergiant oil fields have been found worldwide. The Arabian-Iranian sedimentary basin in the Persian Gulf region contains two-thirds of these supergiant fields. Saudi Arabia has the second largest proven oil reserves (Venezuela has the largest proven oil reserves). Approximately 20 percent of the world’s proven reserves. Another important discovery was the Saffaniyah offshore field in the Persian Gulf. It is the third largest oil field in the world and the largest offshore. The Middle Eastern countries of Iraq, Kuwait, and Iran are each estimated to have 25 percent of all proven reserves in the world. These countries have a number of supergiant fields. Al-Burqan oilfield of Kuwait is the world’s second largest oil field. Russia is thought to possess the best potential for new discoveries. It has significant proven reserves of 5 percent of the world total—and is the world’s leading petroleum producer. There are two supergiant oil fields – Western Siberia and Yenisey Khatanga. Kamchatka peninsula and Sakhalin Island are said to have significant oil reserves. Volga-Caspian Region has many oil and gas fields. North America has many sedimentary basins. Many oilfields have been found in North Slope region of Alaska and East Texas. 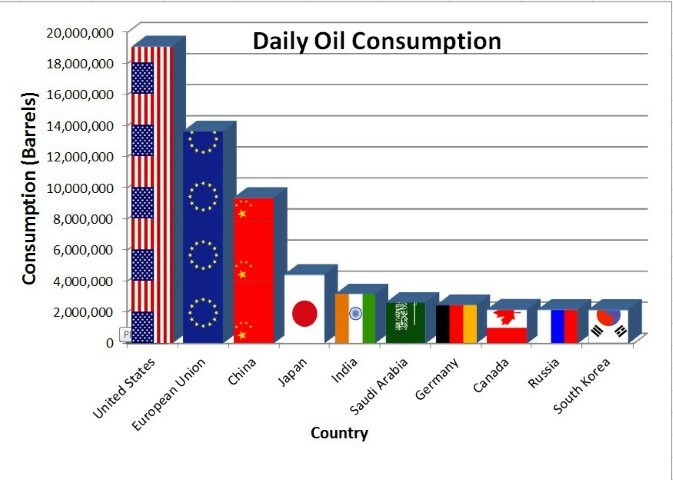 United States has produced more oil than any other country. Its proven oil reserves amount to 2 percent of the world total. The Rocky Mountain region contains an enormous amount of petroleum reserve. Mexico has more than 10 billion barrels of proven oil reserves and is one of the top 10 oil producers in the world. Canada has less than 10 billion barrels of proven reserves of conventional liquid oil. 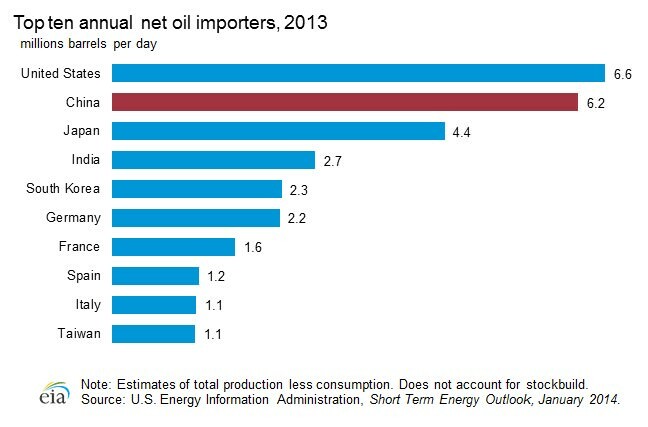 Venezuela is the largest oil exporter in the Western Hemisphere. Venezuela has 300.88 billion barrels of proved oil reserves, ahead of Saudi Arabia’s 266.46 billion barrels of proven oil reserves. Most of these reserves are located in the Orinoco belt. The United Kingdom is an important North Sea producer, and its proven oil reserves of some three billion barrels are the largest in the European Union. The main oil-producing countries of Africa are: Libya, Algeria, Nigeria and Egypt. Niger delta in Nigeria contains enormous amount of oil. Egypt is self-sufficient in oil production. Algeria is another significant producer of petroleum where much of the national income comes from oil-export. Libya became a consistent producer of petroleum. The total oil reserve of Libya is around 3 per cent of global reserve.